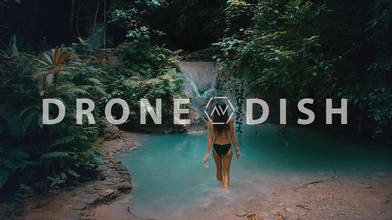 Description: On this episode of The Drone Dish, Tyler chats with Merr Watson (AirVūz Profile: Merr Watson), a former corporate marketing professional turned world traveler who documents her adventures from land, sea and of course … air! Originally from the Philippines, Merr now calls Australia home but continues to travel the world. Check out Merr’s amazing work and learn how she balances travel and filmmaking. For more highlights from the world’s best drone pilots, click HERE. And for more amazing aerial views, keep it tuned to AirVūz.com.